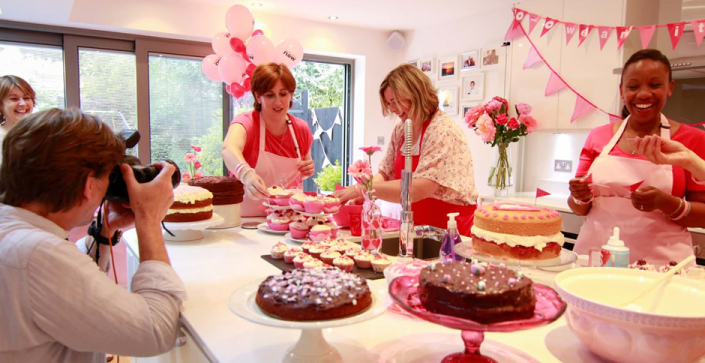 Show off your fundraising activities, we love to see the different ways people up and down the country are raising money for life-saving breast cancer research. Get everyone smiling by reminding them how proud they should be of their fantastic fundraising – this might not be possible if your subject is doing a more unusual fundraising challenge… like a chest wax! Hold the camera still so that we can see everyone clearly. Don’t leave too much space above heads, but don’t cut any heads off either! If you are doing a video always shoot in landscape, this is usually best for photos too. Get the lighting right, too bright or dark and we won’t be able to see your fantastic pinkness. We would love to be able to use some of our supporters’ photos to show what wear it pink is all about, we can only use your photos if you give us your permission. So when you send or post your photo let us know if we can use it!